Turn your iPhone into a powerful cycling computer with BikeMeter. 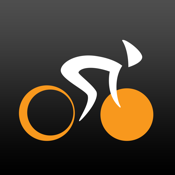 Track your cycling performance with an extensive set of numbers and statistics during your ride. BikeMeter uses GPS data to generate a visually stunning ride profile and assigns each of your toughest climbs a category. Whether mounted on your handlebars or recording in your pocket, BikeMeter will make your rides more fun and boost your cycling performance.